We are not currently doing Project of the Months as individual groups have begun helping us tackle projects as they come up. But have fun scrolling through what God has helped us accomplish over the years through faithful supporters like you!! The progress He has allowed us to make is truly something to celebrate!! 2015 update: Project of the month turns into project of the year! New dorm for the children! This year instead of having small individual projects each month, we're going to focus on one BIG and much needed project... a new dorm for the kids!! The children have been living in a post-earthquake temporary plywood structure for 5 years. It's time for them to move into a proper home. We are so excited about this project and with your help we can have the children into the new dorm by the heat of the summer months! The new dorm will cost $52,830 but we're already halfway there thanks to a couple generous donations that came in at the beginning of the year. We just need $20,000 more and the building will be completed! 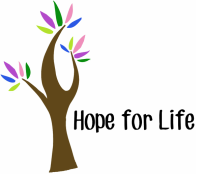 UPDATE, June 1st, 2015: The online fundraiser has closed. All of the funds needed have come in for this project! THANK YOU! Keep up with the progress on our Facebook page. We are excited to announce the Project of the Month for November and December! We're building a library! That's "bibliyotèk" in Creole. :) The construction for the library will cost $2,026. We already have some friends committed to paying half the cost and are asking for your help for the remaining $1,013. This library will be a great resource center for the students at the school and of course our kids at the children's home. It will also be open to the community and will have a range of books of interest for our church members and others in the community. We'll eventually purchase even more books but we have a great collection already. Thanks for considering donating towards this exciting project! UPDATE, January 9th, 2015: The funds have been raised to construct the library. If you'd like to give toward the building of the shelves or purchasing more books click the button below. What an incredible year it has been so far thanks to your help! 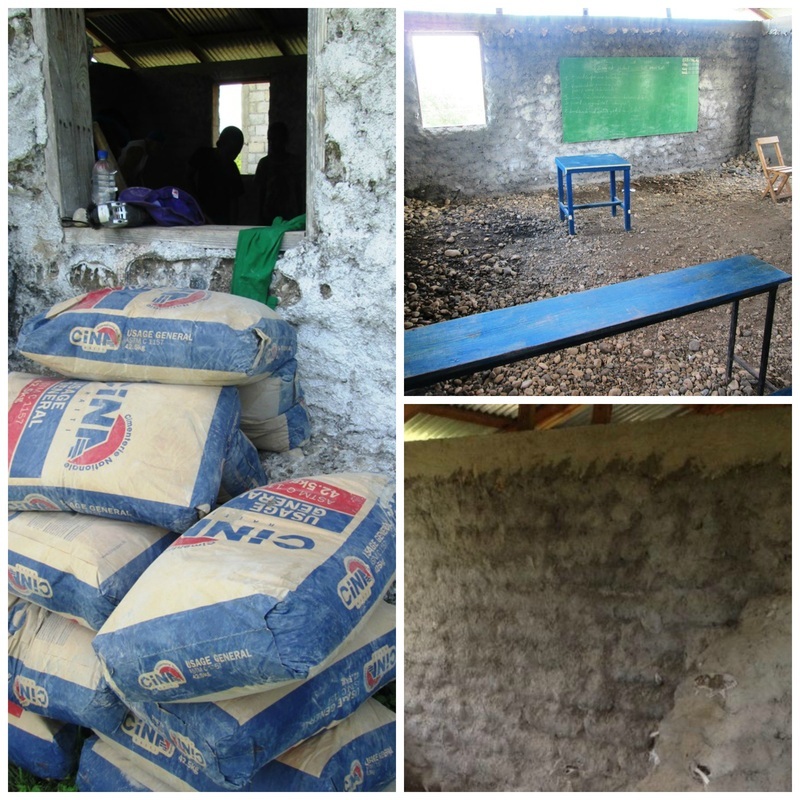 Each month we've been able to accomplish a range of projects including new mattresses for the kids, new latrines for the school, floors for the church and school, new textbooks for the school year, purchasing a mama cow, and renovating the showers. This month we want to put the spotlight back on our monthly sponsorship program. We are praying for 10 new people by the end of October to commit to partnering with us in this way. 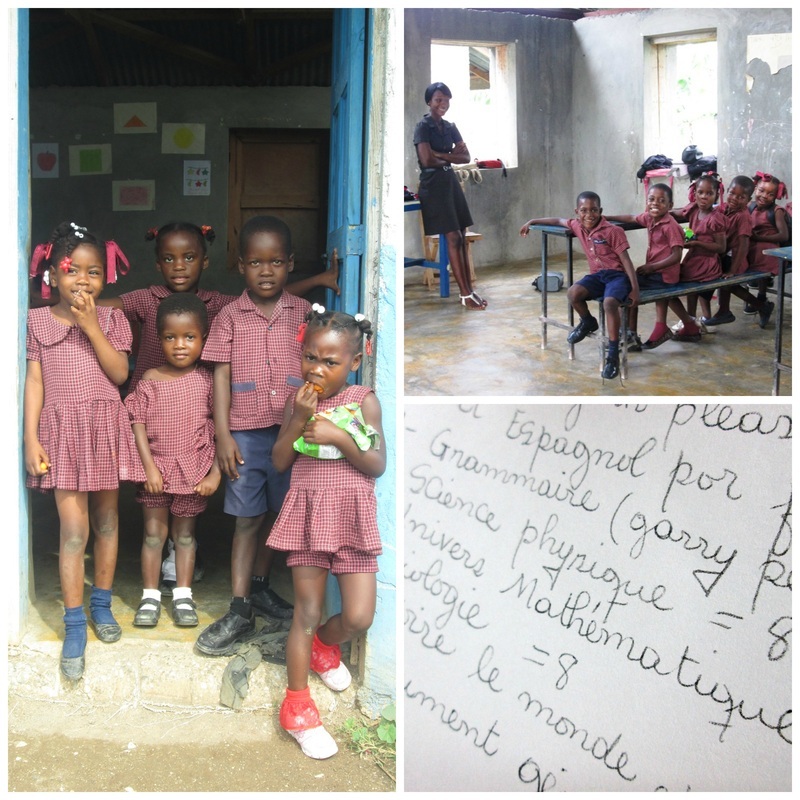 Through your $30/month sponsorship you are helping provide food, school materials, and medical care for our children. Click the button below to meet the children still needing a sponsor. It's time to give our showers some attention! There's a word in Haiti we use a lot called "degaje". It basically means "make it work". Well, we've been degajein' with these showers for far too long! They need some help! Our plan for this renovation project is to finish mounting blocks around the entire structure, creating proper dividers between the stalls and the privacy we need for bathing time. We'll close in the two open showers to make a total of four stalls and will improve the plumbing to include shower real shower heads. The cost for this project (materials and labor) is $550. Can you help us with this special project? UPDATE, September 29th: All the money has been raised to renovate the showers! Thank you everyone who gave! Stay tuned for photos! 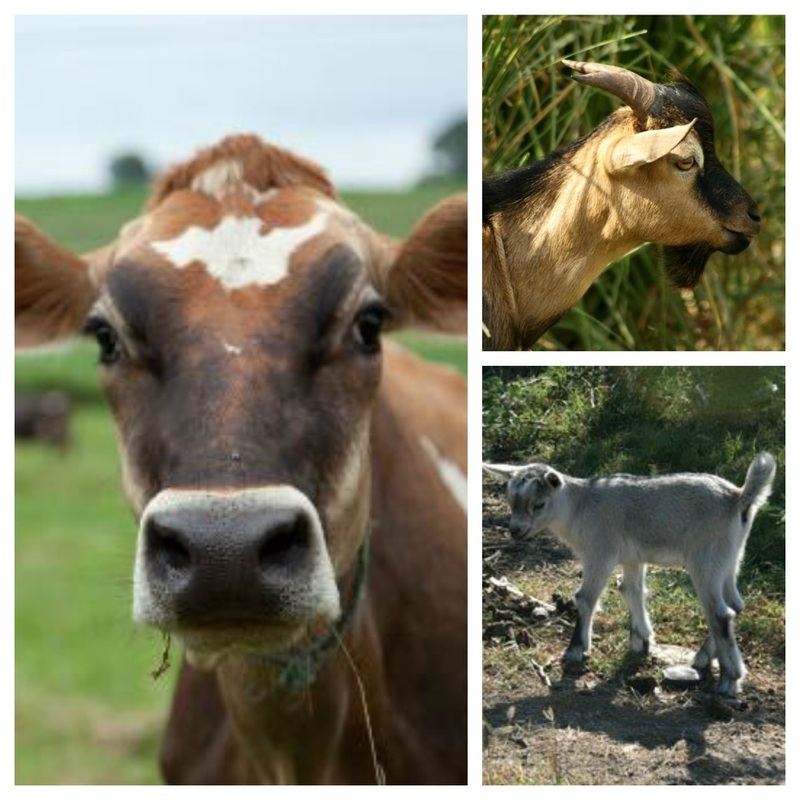 August's Project of the Month is all about the livestock! If you've visited our children's home you've noticed that we have quite the array of furry friends! This fall we'd love to purchase more cows and goats. A pregnant female cow costs $350. We hope to purchase one female to provide milk for our children and have a few calves for us over the next couple of years. We also want to buy a few goats for $70 each. The goats will be used for reproduction and nourishment. Three goats and one cow will cost $560. The kids may be on summer vacation but we're already planning for the new school year! Our Project of the Month for July is to purchase textbooks and notebooks for each class. We expect an enrollment next year of over 170 students! The cost for the new books is $590. If you can help us meet this need, visit our website via the button below to make a donation. UPDATE, July 31st: This project has been fully funded!! Our Project of the Month for June is to complete the floors and fill in the walls of the two unfinished classrooms. Thanks to our volunteers earlier this month, the floors have been completed and all that's left is to finish filling in the walls. You can see how they are still rough from their initial construction in 2010 and the earthbags are starting to tear open in places. We need to purchase the rest of the cement for $188 and one truck of sand for $82 for a total of only $270 to raise for this month's project. Will you help us? UPDATE, June 30th: This project has been fully funded!! 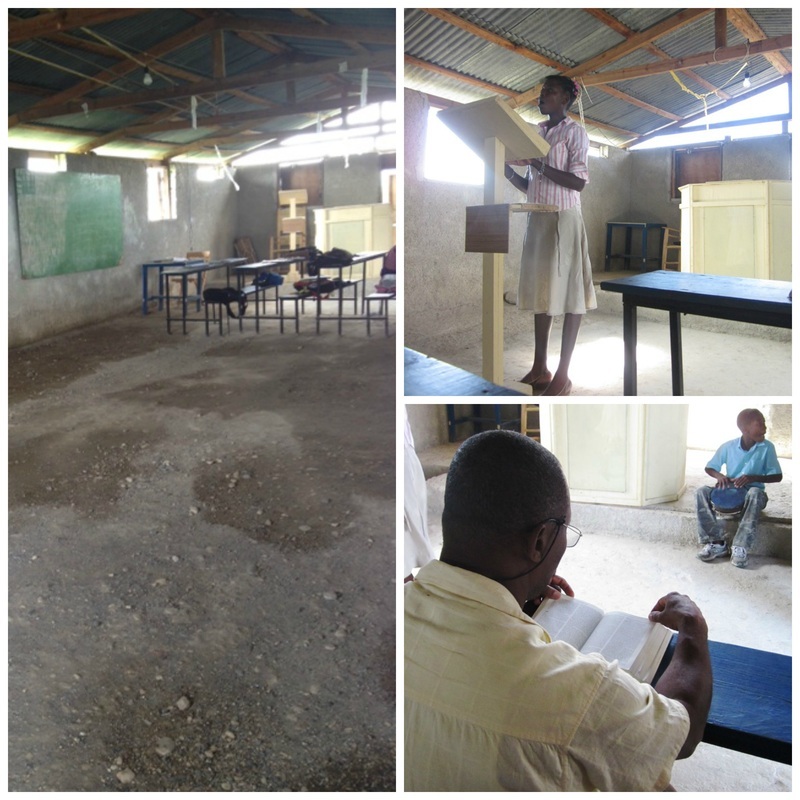 We have a community church on our property that is in need of a proper floor. The current floor is rough and uneven. The church building also doubles as extra classrooms for our school. The total cost for this project is $750 and we are excited to report that we already have raised the money and have a few volunteers coming down this month to help with the labor. Photos to come! We are so blessed by the support and prayers from all of you. We have been very encouraged this year to be able to tackle some of these projects that are of great benefit to not only our children, but the community as a whole. We pray that we are the light of Christ to the people who live around us, and through your help and blessings, we are able to provide even more opportunities to bless those God has called us to minister to! ﻿UPDATE, May 31st: This project has been fully funded!! The floor is done and the walls are even smoothed out and painted! We have been so blessed by the incredible response we've received for our Projects of the Month so far this year! This month we are shifting our focus from raising money for one particular project and putting an emphasis on our monthly child sponsorships. By sponsoring a child for $30 a month, you are helping us provide balanced meals, funds and materials for their education, and healthcare. These sponsorships are essential for us to meet the needs of our children. Will you help us? Click the button below to meet our kids and pray about making this special commitment. Our sponsorship program is funneled through our partner, Allow the Children. We are very grateful for their support (and yours!) of this important project! 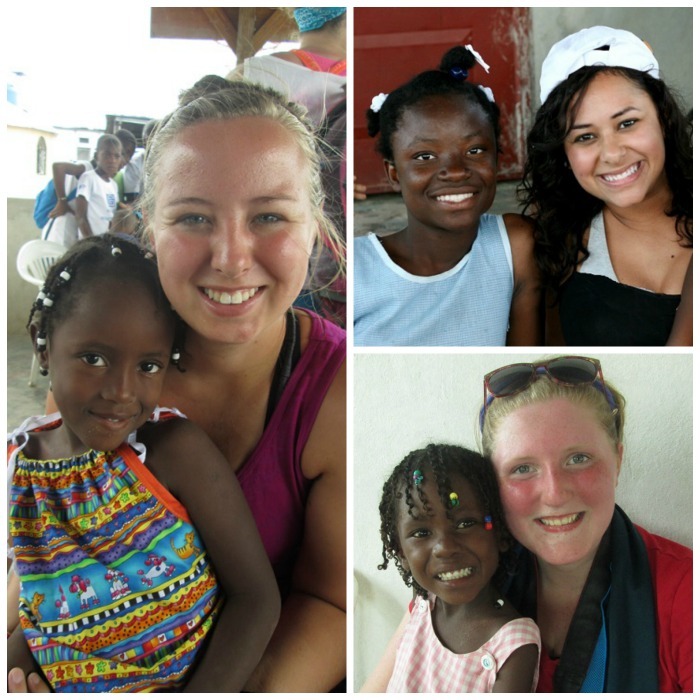 ﻿UPDATE, April 30th: The majority of our child﻿ren have found at least one sponsor! 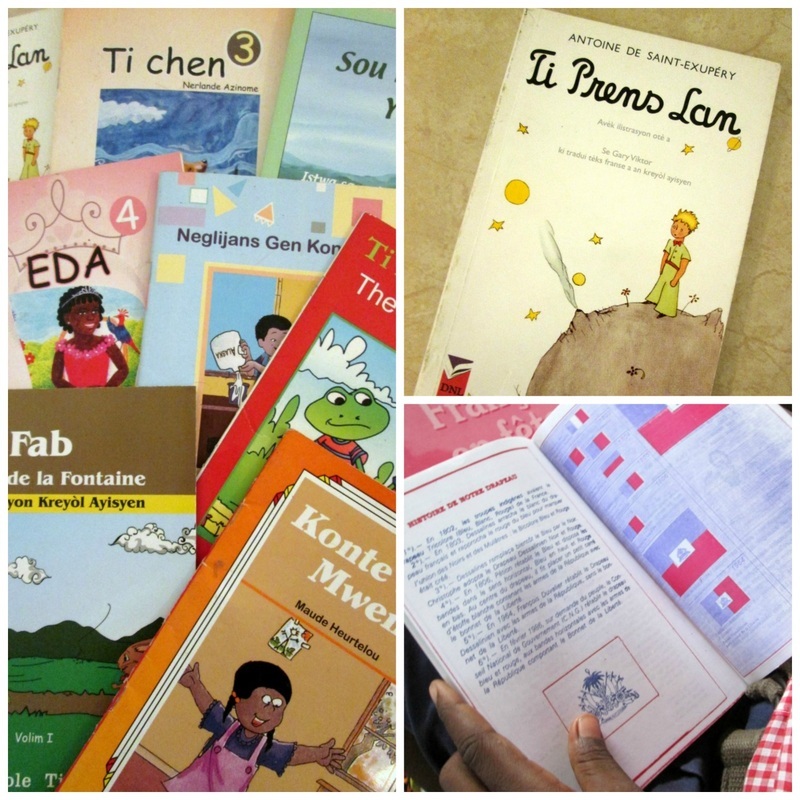 ﻿Can you help us fully sponsor every child?﻿! This month we are focused on hygiene! We desperately need to improve our latrine situation at our school of 173 students. Our current latrines need some work and we also need to build additional toilets to accommodate our students. Our lack of proper facilities is becoming a hygienic nightmare! 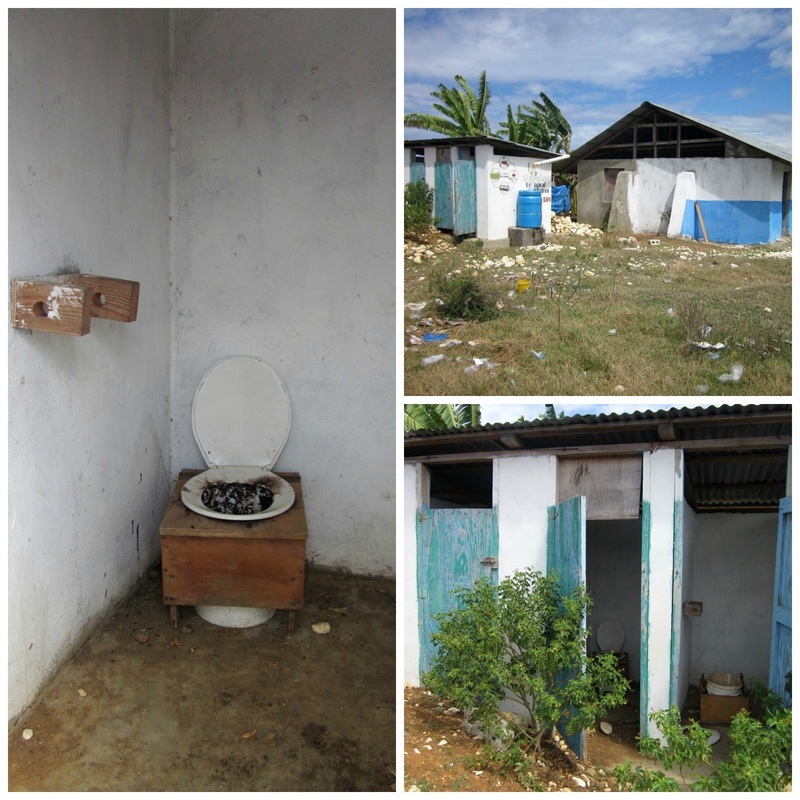 We want to invest in better and more latrines and we need your help! The project budget is $1440 and we've already received $360—so only $1,080 left to go! With your help we can complete this important project and be whisked into our time of Spring Cleaning in April! :) Click the button below to donate via Paypal or contact us for more information. ﻿﻿UPDATE, March 31st: ﻿This project has been fully funded!! 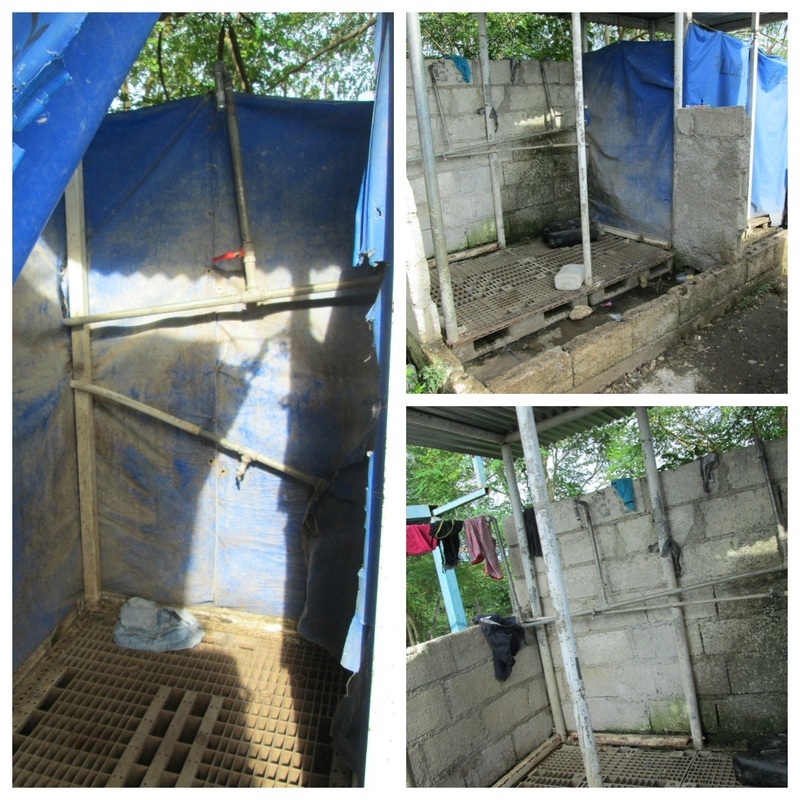 Check out our Updates page for photos of our latrine project progress! And stay tuned for April's "Project of the Month"! Thank you for helping us solve﻿ this important problem! 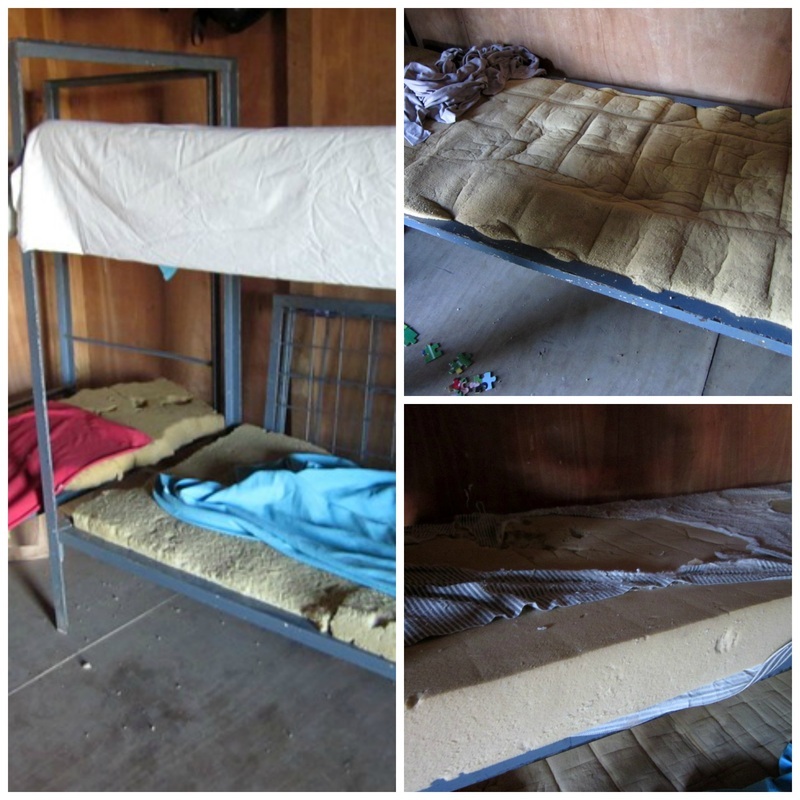 This month we would like to purchase new mattresses and sheets for all the kids' beds. You can see the poor condition of the foam they're currently sleeping on. We want to invest in sturdy mattresses and proper bed sheets. The mattresses sell for for $50 each and the sheet sets for $15. So far we have enough raised for 10 mattresses, which leaves 12 more and the sheets for a total of $930 left for this project. Will you help us? UPDATE, February 21st: This project has been fully funded!! Check out our Updates page in March for photos of ﻿the new mattresses and sheets! And stay tuned for March's "Project of the Month"! Thank you for helping our kids sleep more soundly!